It’s a beautiful feeling to see your tiny tots enjoy their little space. The major task is to decorate these spaces to their liking and comfort. And it is where they spend quiet a lot of time and so it does influence them to a great extend. You will have to give some thought over the colour, theme, materials and furnishings before you start with the room. Here’s a checklist going through which will help you plan a room that fits your budget and at the same times amuses your child. It is best to decide a budget for every task you perform as it will help you avoid overspending. While planning for your kid’s room, know that the room will need changes as the kid gets older. Hence do not spend a lump sum amount on the room that won’t stay forever. Make an estimate of what you are willing to spend and plan accordingly. Colours have so much to do with moods. Choose a colour sets a soothing mood to the room. Baby pinks and blues are much used for girl’s and boy’s room respectively. You can also choose other colours according to the theme you choose. For instance, you can use bright yellows and lavenders for a playful theme, or dark blues or greys for boys in action and shades of pink or red for lovely girls. 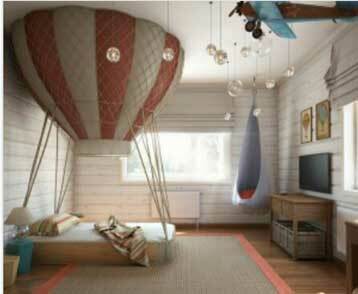 While choosing theme for the kid’s room you need to consider budget, durability and ease of change, initially. Once these criteria are done with, you may chose a theme to suit your child liking. 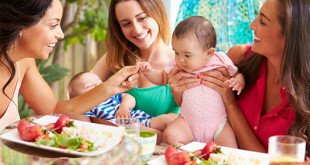 For too small kids it is better to go with cartoons, rhymes, jungle or such themes to which the child can easily connect to. For a little order category, you may choose according to the child’s character. Boys usually love themes of superheroes, space, cars etc while most girls love a princess themed room. Some kids may also love more sophisticated or even of the box themes. Involve your child in the process as the room will be made to their fancy and it will also stir imagination and creativity in them. While decorating a kid’s room avoid using sharp and rough objects as it would hinder the safety of the child. It is also suggested that you avoid slippery flooring material. 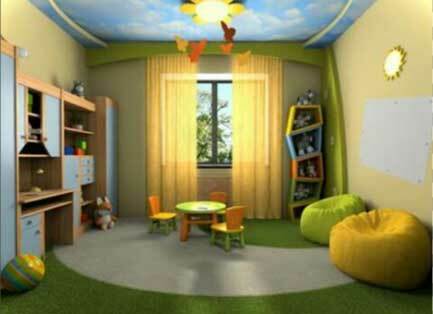 Rubber flooring materials are available for use in kid’s rooms. While selecting furniture, choose safe and durable pieces. Choose bed and other furnitures to provide for the number kids to be accommodated. 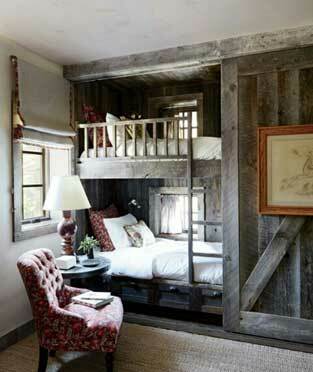 To accommodate 2 or more kids, you can choose bunk beds or other varieties. You can also choose furniture to suit the theme, like car beds for boys. You can also add stools, armschairs, ottomans or bean bags to these rooms. Furnishings can be chosen to add that extra element of cuteness to the room. Fun and colourful fabrics with adorable prints and designs can be used for drapes, bedspreads, cushions, rugs etc. When it comes to accessorising kid’s room, you should be aware that the items you place in here will be different from what you use elsewhere. Accessorise with adorable pieces like plush toys or delightful show pieces or lamps that the children can connect with. You can also add framed pictures of your child or your family. Make sure you avoid placing breakables. 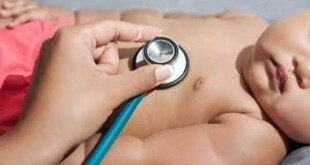 While decorating your kid’s room, be certain to allot spaces for activities your kid might perform while in the room. 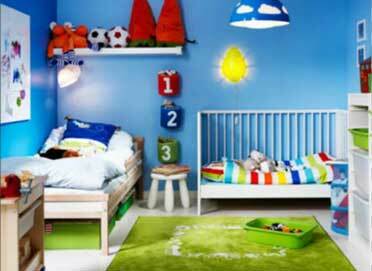 The basic requirements in a kid’s room is a bed space and a study or activity area. You may also create a small space for play station or such other activity of the child.